Cold sores are infectious clusters of several fluid filled lesions that are caused by the herpes simplex virus. If you have cold sores, these are small blisters that are formed on your lips or even around your mouth. The skin around the blisters is primarily red, sore and swollen. Once you are infected with this kind of virus, there is no way to completely cure it. However, there are things that you can do to help prevent an outbreak from taking place. The best thing that you can do to prevent core sores is to avoid some triggers. First, you need to protect yourself from the sun. Exposure to the ultraviolet rays from the sun triggers the formation of cold sores. You can immediately prevent cold sore formation by taking healthy precautions before going out and exposing yourself under the heat of the sun. You need to put on quality and safe sun block on your face every time you go outside of your home. Make sure that you use a lip balm that contains SPF. Thus, this helps prevent a cold sore from forming. Then, you need to eat a balanced diet. The immune system of the body can suffer from the effects of cold sores. This is also the case if you are not getting the adequate amount of vitamins and nutrition. When you do not monitor the foods that you eat, you’re more likely to be prone to a cold sore outbreak. Focus on eating a balanced and healthy diet which includes a lot of whole grains and protein. You also need to increase the amount of fruits and raw vegetables such as cabbage, broccoli, brussel sprouts and many others. You also need to decrease the quantity of processed products, saturated fats of animals, refined and white sugars, white flour, artificial sweeteners and caffeine. Apart from that, you also need to avoid eating foods that contain a high amount of arginine. Lastly, you need to keep your stress level down. When you are so over-stressed, your immune system will suffer.. Most of the people who are exposed to cold sore outbreaks are those who are stressed out. You need to observe and follow healthy habits in keeping yourself calm and rested. Obtain plenty of sleep and spare time for regular exercise. These are the two most important activities you need to consider. Recognize the first signs of cold sore formation. Many cold sore sufferers are aware when an outbreak is about to occur. Cold sore formation symptoms vary from one sufferer to another. So, it may take time for a few outbreaks before you can determine that you already have the symptom. When you are aware that a cold sore is about to come, you can make use of some treatments to stop it. Pay attention to pain in your lips and the tingling sensation. The majority of cold sore sufferers experience a funny feeling a few days before a cold sore is formed. If you have swollen glands, sore throat and fever, then you may have a cold sore. Treat the cold sore formation area with ice. When you feel that cold sore starts to form, fill a plastic sandwich bag with ice and immediately wrap it in a dish towel. Apply the ice to the affected area where you feel that it will take place. Repeat the ice application every hour. Cold sore formation requires moisture and warmth to develop hence keeping the area at its cool phase may prevent cold sore formation. You may also treat cold sore with a tea bag. Just soak a tea bag in hot water and allow it to completely cool. Apply the bag on your lips for about three to five minutes every hour. The tea contains tannic acid which has antiviral properties. Most of the over the counter treatments for cold sore formation also contain tannic acid. You may also make use of a lemon balm cream for the prevention of formation of cold sore. Lemon balm is a healthy herb that can prevent cold sore. When you feel that cold sore is about to come, you may apply a lemon balm cream immediately. Then, let it soak on your skin for few minutes. If the cold sore is already serious and you cannot stop it from forming, there are medications that help prevent a cold sore from getting worse. You may use medicated cream in the treatment of this condition. Oral herpes can be treated with the use of antiviral cream that prevents the virus from growing. This antiviral cream can prevent the virus from entering the newer cells of the body. This can be applied before or even during a cold sore outbreak. There are several medicated creams that you may use that are recommended by medical and health professionals. 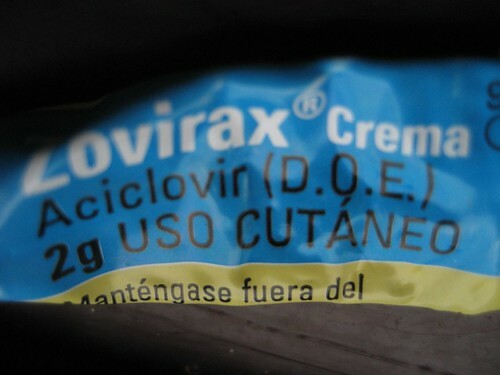 Apart from medicated cream, you may also take some antiviral medicine. Oral antiviral medicines are effective and preventative treatment for serious oral herpes that causes the formation of cold sore. These are the medicines that can be taken continuously or even just for the first sign of the outbreak. They are available by prescription. So, make an appointment with your doctor before you take this medicine. If you experience serious cold sore formation outbreaks, you may need to undergo special treatments. There are some people who experience long lasting and painful cold sores. These can be treated by means of administering medications. See medical or health professionals if you have serious cold sore problems such eating and drinking problems, continuous cold sore formation and many others.